Red, white, cute and about 81 years old. If the maker who spent hours stitching this by hand is still alive she would be around 100 years old now. 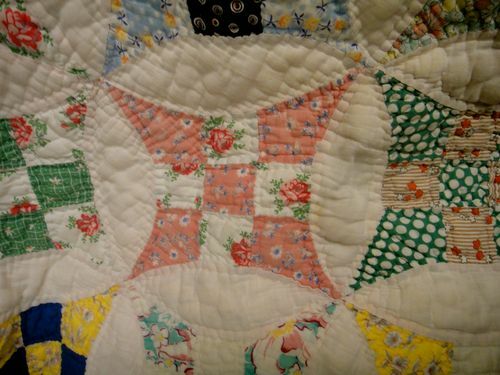 This is a block on a quilt that I saw today at an Antique Mall. 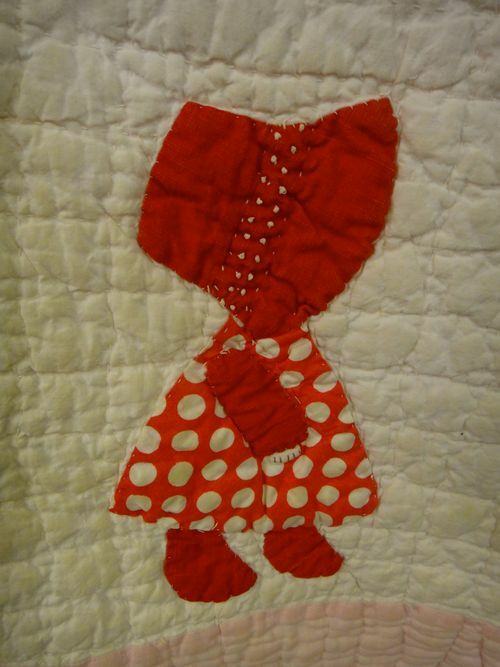 I really like this pattern too.I have one at home almost identical. The fabrics are most likely feed sacks and possibly old shirting with a plain pink as an accent. It is badly worn and almost irreparable. Each piece was meticulously sewn by hand. I wonder where it was sewn and under what circumstances. Yet it's very typical of the era. I think the colors and patterns are just delightful. I'm sure it was quite difficult to do. As I walked through the mall, the local church service was being broadcast through out the entire place and it reminded me of my Mum I think she would have joined in with her alto harmony if she had been there. I admit, I almost did too. The Ministers deep south accent was hypnotic and so far from the reality of home. 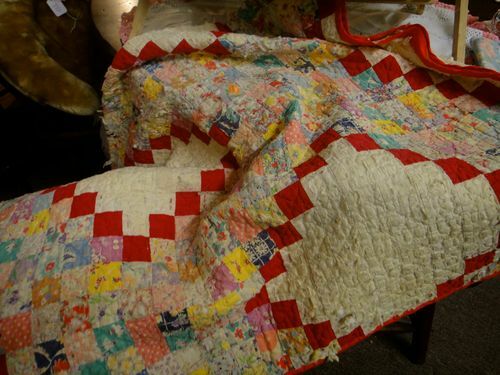 This was another lovely quilt, but it was really terribly damaged, far too damaged to be repaired. The quilt below, was interesting. It was really lumpy, but I found a part where the stitching had come undone and the batting was an old chenille bedspread. It was incredibly heavy. 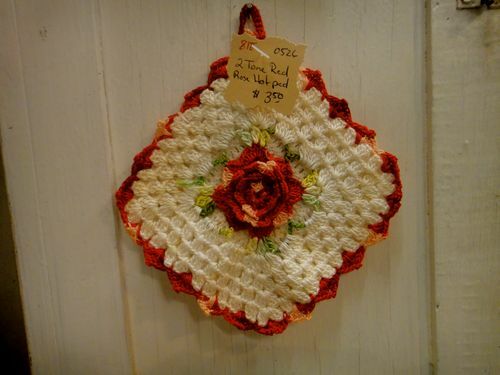 I love these pot holders… so I bought this one. It's great having the time to browse… the church service added ambiance, the memories of hymn singing and the excitement of the find. THEN lunch at Cracker Barrel. YES, I did buy two quilts. Both were around $40 each. 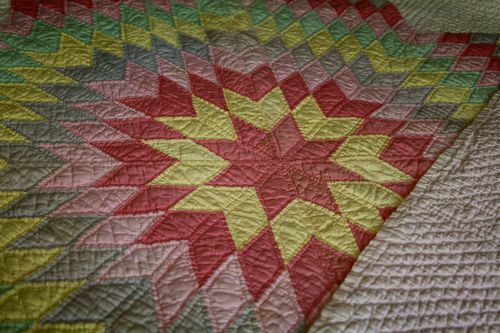 A Lone star quilt made from plain cottons. 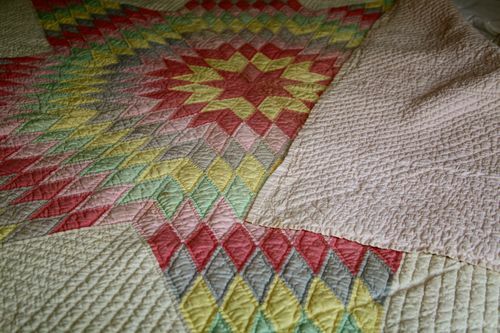 hand pieced and quilted with raw cotton batting. 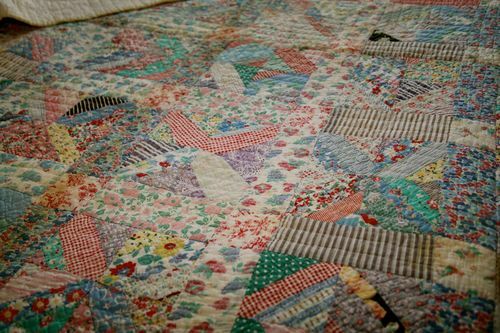 This other one is a real scrap quilt, but in good condition and the fabric is delightful. It's like having an encyclopedia of fabrics in your hand. 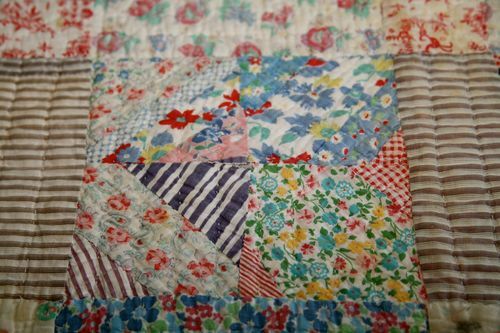 I didn't realise when I photographed this block that she had sewn two quarters in a different direction to the rest of the entire quilt. The woman behind the counter is a Textile Art Major and will look out for interesting things for me……!!!!!! I came back to the hotel and and has swim…. and so did Alice Isabella. 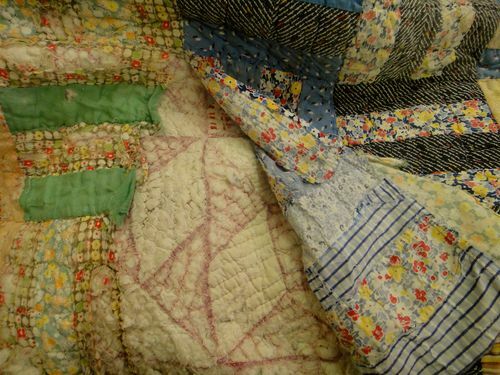 Tagged with: Antique Quilts Antique malls Fabric. 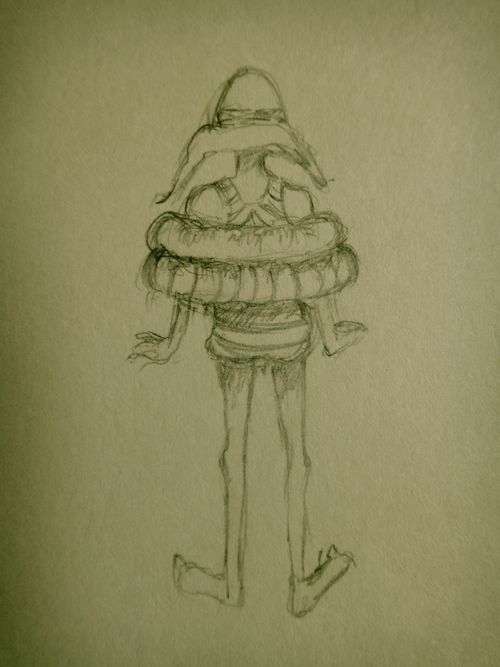 Textiles. 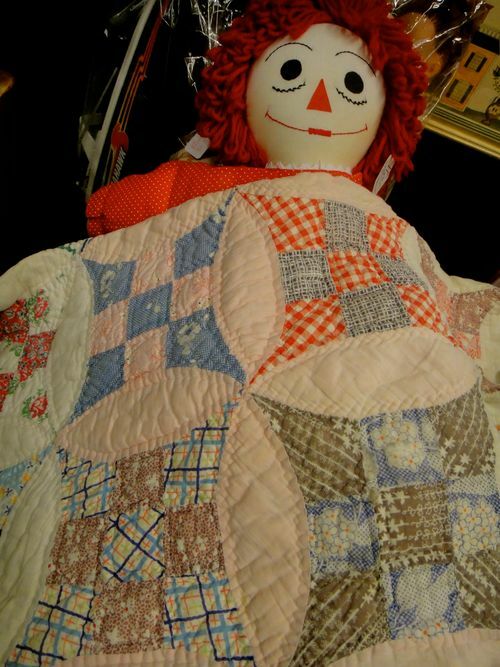 My eyes have turned deep green just thinking about you buying those quilts. 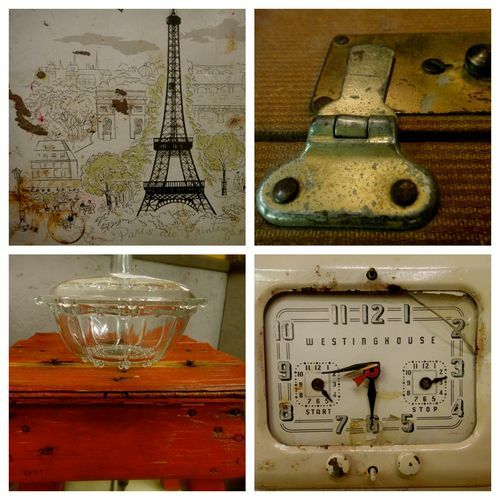 They will stay here in Hot Springs at the hotel as part of our textile collection…..
What wonderful items to discover! 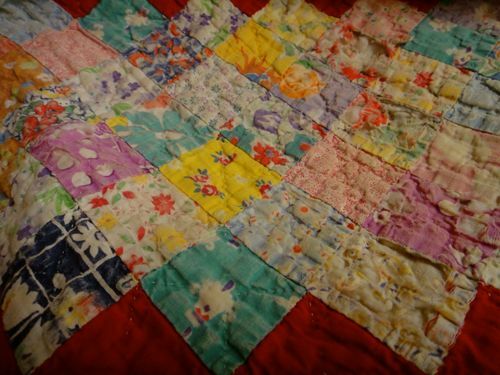 I purchased a scrap quilt in a second hand shop that had another quilt as it’s batting.